No pregnant woman should be forced to choose between her job and a healthy pregnancy. Yet at Walmart, the largest employer in America, and many other companies across the country, that is exactly what's happening. The Supreme Court is currently considering employers' legal obligations to accommodate pregnancy-related medical needs in the case Young v. UPS, and a decision is expected in 2015. The high court heard oral arguments in the case just two weeks ago. But in one critically important way, UPS, unlike Walmart and others, has already moved forward, announcing last month that beginning January 1, it will adopt a policy of providing accommodations for workers who need them because of pregnancy. UPS drivers with lifting restrictions, for example, will be eligible for light duty going forward. In adopting its new policy of accommodating pregnant workers, UPS is making clear that even physically demanding jobs can be made compatible with pregnancy. And it is also demonstrating that it makes business sense to ensure skilled employees can work through their pregnancies. Walmart, however, still doesn't seem to understand these crucial points. That's why we filed a charge on behalf of Candis Riggins, a former Walmart associate in Laurel, MD and the many other women in the same situation she faced. Last March, Riggins needed a change at work. As she entered her second trimester of pregnancy, the harsh chemicals that she used to clean store bathrooms each day were making her sick, and her doctors told her that they posed potential risks to her health and the health of her pregnancy. Earlier that month, after legal pressure from A Better Balance, the National Women's Law Center, and Walmart shareholders, who are also OUR Walmart members, Walmart announced a new nationwide policy of providing reasonable accommodations for associates with "a temporary disability caused by pregnancy." A Walmart spokesperson asserted in the press that the new policy covered all pregnant associates. But when Riggins repeatedly asked Walmart for a reassignment to address her pregnancy-related health needs, she got nowhere. As a result, Riggins continued to use the strong chemicals to clean the bathrooms and twice ended up in the emergency room. By May, Riggins started calling in sick, because she didn't feel she could risk her health any longer. Shortly thereafter, she was fired. 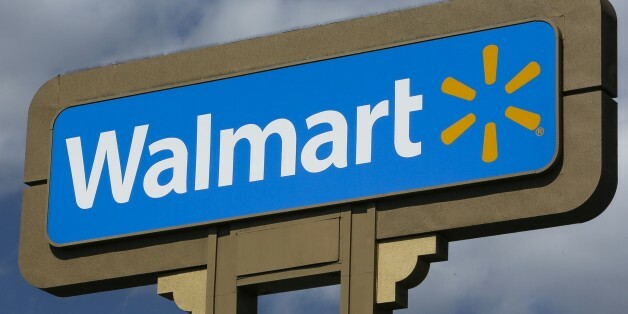 The accommodation policy that Walmart announced in March appeared to be a critical step forward; in announcing the policy, Walmart discarded a previous discriminatory rule that had explicitly stated that no pregnant workers were eligible for reassignment, even as Walmart made reassignment available for workers with non-pregnancy-related disabilities. But Riggins' story and the stories of other Walmart workers around the country indicate that, in fact, this new policy has fallen far short. Indeed, over the past six months, we continue to hear again and again from Walmart workers who asked for an accommodation while pregnant after the company had announced its change in policy, and they got nowhere. Apparently, ambiguity at the heart of Walmart's revised policy continues to harm pregnant workers. Under Walmart's new policy, it is not clear whether Walmart would allow a pregnant employee to carry a water bottle if she had a doctor's note indicating she needed it in order to stay hydrated and avoid potential pregnancy-related complications. That's because she might not be able to show she had a pregnancy-related "disability," however Walmart defines that ambiguous term. Without this accommodation, this worker would be forced to either jeopardize her health or leave work, sacrificing her economy security. But a worker who needed to increase his water intake because he had diabetes, on the other hand, would likely be entitled to a reasonable accommodation under Walmart's policy, and be permitted to carry a water bottle -- allowing him to stay at work. Walmart should take this opportunity to strengthen and fully implement its pregnancy accommodation policy to provide accommodation to all workers with pregnancy-related medical needs, regardless of whether they are deemed to have a "disability." A clear, properly implemented policy of providing accommodations for pregnant workers who have a medical need for them isn't just the right thing to do for pregnant workers and their families, it's the right thing to do for business and our economy. Given the critical role that women in the workforce play in today's economy and the financial health of companies like Walmart and UPS, we call on Walmart, and others, to adopt a crystal clear, properly implemented pregnancy accommodation policy. It's time for women to work without fear of being forced to choose between hanging on to their jobs or risking their health.